That sign. That legendary sign. It has been a presence on the corner of Carling and Holland since 1960. Photo: April 2014. Nearly 54 years ago, one of Ottawa’s best mid-century commercial signs was affixed to a newly-constructed two story commercial building at the corner of Carling and Holland – “the crossroads of the west end”. 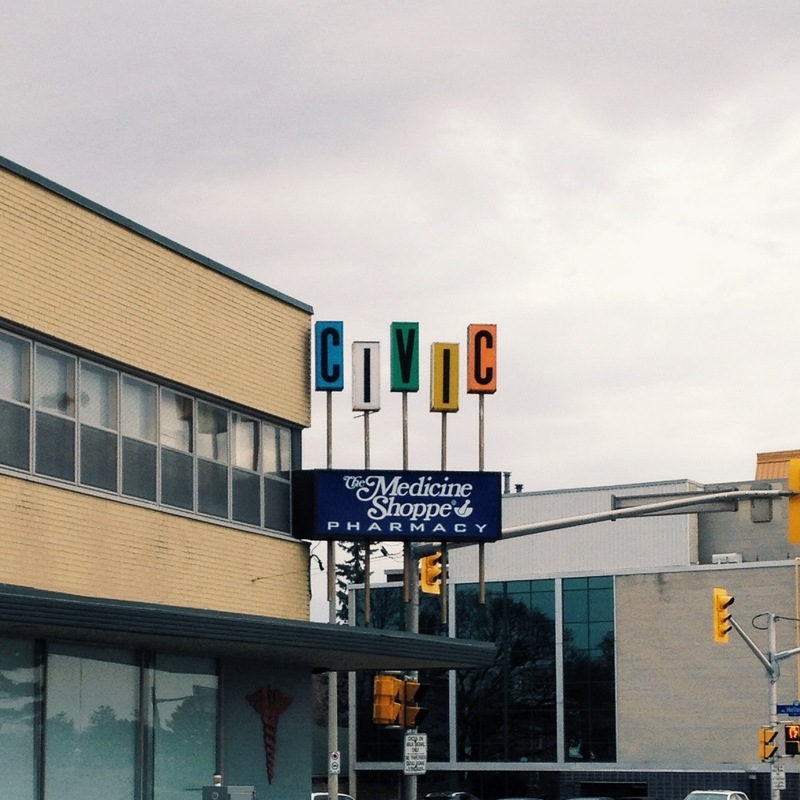 The Civic Pharmacy officially opened on Saturday, September 17, 1960. A one-and-a-half-page spread in the Journal. When it opened, the “Civic” sign’s letters apparently rotated. Source: Ottawa Journal, September 16, 1960, pp. 16-17. 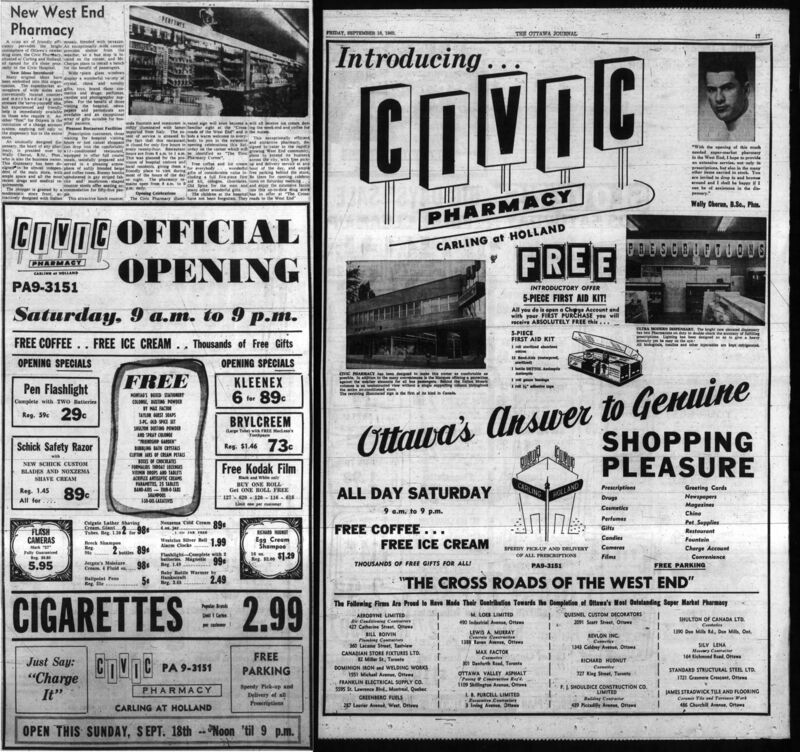 The Civic Pharmacy was a venture of Wallace “Wally” Cherun, who’s father Alexander Cherun ran a grocery in the Deep Cut (now Golden Triangle) at 61 Waverley. Not only did the CIVIC letters turn, they lit up at night. I wrote about this sign a couple of years ago: you can read my post at http://bit.ly/hYHvoJ.